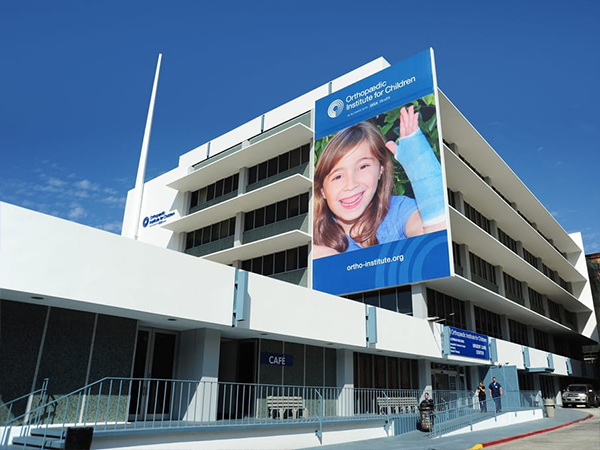 This project entails the rehabilitation of two of the three existing buildings in the campus that is owned and operated by Orthopaedic Institute for Children (OIC) in South Los Angeles, a low-income community within the City of Los Angeles. The project adds a new Ambulatory Surgery Center (13,200 SF) that will serve over 600 children per year. The ASC contains two operating rooms, six pre- and post-surgical suites, and two “overnight” rooms that accommodate 23-hour stays - allowing disadvantaged children to experience the same coordinated and continuous expert care, with the same physicians and clinical team throughout an entire episode of care, that a privately-insured child receives. The project will also rehabilitate the existing Lowman Building (108,950 SF), expanding the capacity of its urgent care center from 23,000 to at least 37,000 patient visits per year and also enhancing its research program. 94% of OIC's patients are children of Low-Income Persons, as determined by the payee mix of Medicare, Medi-Cal, and uninsured patients. Founded in 1911, OIC's mission is to provide outstanding care for patients with musculoskeletal disorders, provide care for children regardless of ability to pay, and advance care worldwide for all musculoskeletal patients through medical education and scientific research.